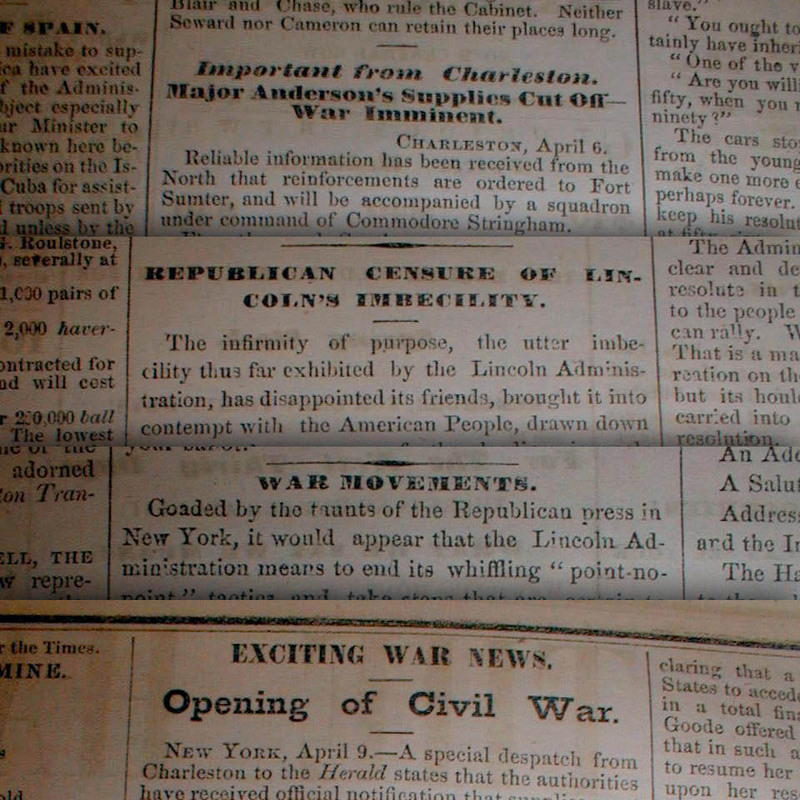 How did newspapers report politics leading up the civil war? The ongoing story of 2017 is Donald Trump and this pure dichotomy of America. The divided sides feels very much like we are leading up to a Civil War. This makes me wonder what America was like before the Civil War–and specifically how did the media of that time cover it? The Smithsonian has an article, but they split it up into nine slides, so I’m not linking to that garbage. Sorry, Smithsonian. I expect much more from you! I knew you were going to enjoy this one! I’ll check out this book. The Civil War is getting a lot more interesting now that we can relate to it more now than ever. Your point about the Lincoln-Douglas Debates, and the skewing of the reporting is so relevant today! We saw that in Trump’s inauguration speech. Perhaps history might be repeating itself four years from now if a Lincoln-like figure rises up to debate Trump, to bring our country back to normal reality. Which would then polarize our country even further. The lead up to the Civil War is always good to revisit whenever you start to think “this country has never been so divided!” In fact, so is country’s founding years, Reconstruction, and much of history. If anything, I wonder if 200 years from now we will view the second half of the 20th Century as the Big Exception in polarization, including the Press. If you want to look back a little further, look how Thomas Jefferson used newspapers to attack Washington and Adams, even hiring one of the most extreme newspaper editors, Philip Freneau, to work at the State Department….